It seems like just yesterday that teams were preparing for the 2018/19 season, and here we are again. The rumours are plentiful, the fees are astronomical, and we're only just getting started. This summer is going to be a fun one. Here's a roundup of six of the latest rumours doing the rounds. After moving to Turkey in 2017 for what looks like pocket change in today's inflated market, Eljif Elmas has been a regular part of Fenerbahce's lineup, but the team have struggled this season. However, he doesn't want out just yet. According to ​F5 Haber, the 19-year-old midfielder has rejected the chance to move to ​Cardiff City, instead believing remaining with the Yellow Canaries would be better for his development. His resolve looks set to be tested soon, with the likes of ​Tottenham Hotspur, ​Manchester City and ​Real Madrid all said to be plotting offers for Elmas. Manager Ersun Yanal is set to pay close attention to the youngster, but he may find himself on the way out the exit door regardless. Leeds United are desperately pushing for promotion to the Premier League and, if they do so, they're keen on bringing a Uruguayan star with them. The man in question is Boca Juniors midfielder Nahitan Nandez who, according to ​Ovacion, has found himself near the top of Leeds' wish list for next season. He has a £12m release clause, but the Whites are ready to spend up to £25m to secure his signature. ​Several ​Serie A sides are also set to join the race, so Marcelo Bielsa's men will need to secure promotion if they are to have any chance of convincing the 23-year-old to sign. Leonardo Koutris is a wanted man. The Olympiacos left-back has enjoyed an impressive season, and the Greek star reportedly attracted plenty of spectators when his country faced off against Liechtenstein on Saturday. Scouts from ​Leicester City, ​Everton, ​West Ham United and ​Newcastle United were all present, and ​TEAMtalk claim that they will all monitor him again when Greece travel to play Bosnia-Herzegovina on Tuesday. ​A price tag of £10m has been suggested, with the Red-Whites rejecting a bid of half that figure from Genoa in January. If they want him, they'll have to pay up. Few defenders in world football have generated as much hype as Benfica's Alex Grimaldo. The former Barcelona man has developed into a machine at left-back, and links to the likes of Atletico Madrid and Manchester City have followed. Barcelona will be watching his transfer saga unfold, but not with a view to buying him back. Instead, ​Mundo Deportivo note that the Blaugrana negotiated a clause when they sold Grimaldo for just €1.5m which will see them take home 15% of any future transfer fee. The Spaniard could cost anywhere upwards of €30m, which would be a welcome pay-day for Barcelona. Thomas Partey has long been the subject of transfer speculation. The Ghanaian is a constant part of Atletico's squad, but regularly just as a substitute, and many fans fear he will look to leave in search of consistent football. If he does, ​AS claim ​Arsenal and Manchester City will be leading the charge to lure him away from the Wanda Metropolitano. Atletico don't want to lose Thomas, so any side would likely have to hit his €80m buyout clause to get the ball rolling. This summer looks set to be a busy one for Manchester United. 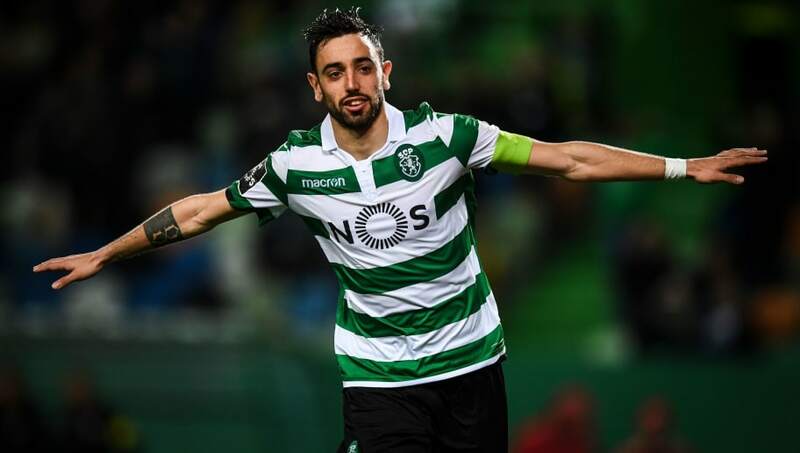 The Red Devils have been linked with seemingly every player under the sun, and the latest man on their radar is Sporting CP star Bruno Fernandes. He's been linked a lot recently. Sporting don't want to lose their captain, but ​Correio de Manha state ​that United would be able to get their man if they activate his release clause of €100m. However, slight problem. Sporting know absolutely nothing about United's interest - and they've not yet received a bit or any kind of approach.